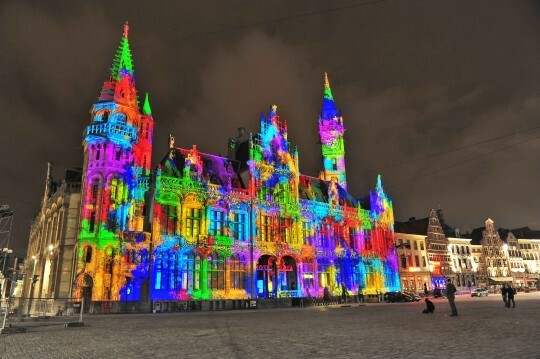 On the second edition of the Festival of Lights Ghent you could visit 29 different projects at various locations throughout the Belgian city. 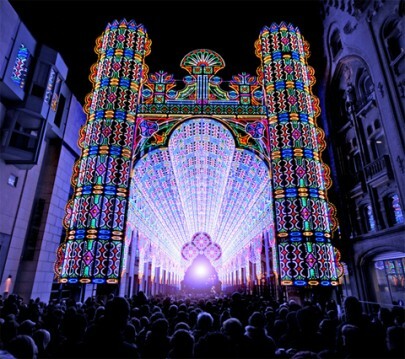 At this festival designed to celebrate ‘light, happiness and music,’ a massive lighting installation used 55,000 LEDs to create a faux cathedral. 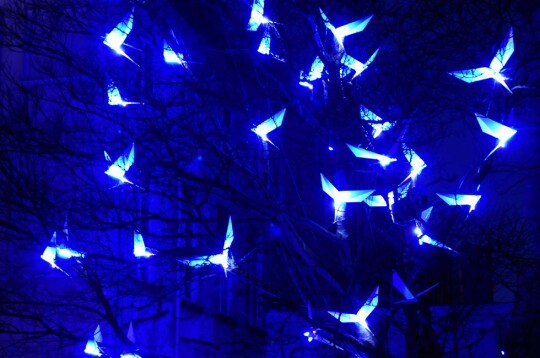 The prime project was a massive light cathedral, the Luminarie De Cagna, which stretched 28m high. 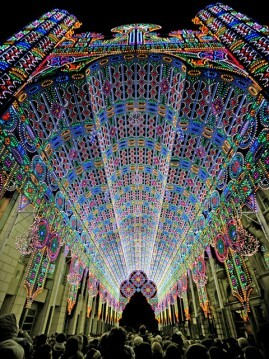 Using techniques like projection mapping, the lighting created the appearance of a multi-colored, flowery ceiling reminiscent of historic stained-glass windows. 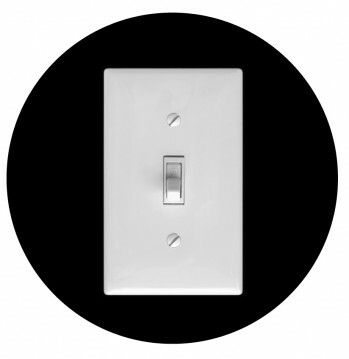 For the second time in a row Luckytree offered a full communication campaign, off- and online. We made flyers, brochures, posters, a new website , App for i-phone, androïd and i-pad and the full promotion off this festival. Press in association with Cats Communication.